As the owner or manager of a small business, chances are that you spend a portion of your workweek out on the road. Whether you are making deliveries, traveling to various jobsites, or simply commuting to the office, you may want to consider making your trips in a company vehicle. When you purchase a vehicle for your company’s use, it can be outfitted with a vehicle wrap that advertises your services. Let’s take a look at three reasons why investing in a company vehicle is a great idea. During your daily business operations, you may need to travel from place to place. Rather than putting extra miles on your personal vehicle, it is a much better idea to rely on a company car for your transportation needs. 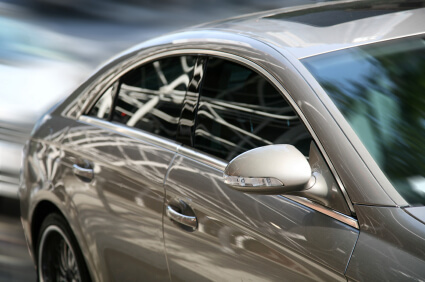 During tax season, the miles that you put on your company car may even be eligible for a tax write off. A personal passenger car may not provide the space that you need to haul tools, equipment, and other bulky items. When you purchase a company vehicle, you can buy a spacious truck or van that offers plenty of storage room. Throughout the workweek, you will be able to rely on your spacious company car for all of your hauling needs. One of the best benefits of a company car is that it can provide you with free advertising for your business. The exterior of your vehicle can be equipped with a vehicle wrap, which displays your company’s logo and contact information. If you are interested in creating an eye-catching logo for your company car, get in touch with Miles Label of Tucson. Along with our top rated label printing and design services, we also help our customers create vehicle wraps for their cars. Give our Tucson location a call at (800) 331-1897 to learn more about how our services can help you promote your business.